Philip has practised company and commercial law for over 30 years and throughout that period has advised a varied range of clients worldwide. He has delivered in-depth and knowledgeable legal and business advice on company law, corporate and commercial structures and business agreements and disputes of all types and, as part of the Corporate team, numerous corporate finance transactional matters. Philip is renowned for his ability to build close relationships with his clients whilst providing them with both pragmatic and practical advice. Philip has a wealth of experience in advising the manufacturing, engineering and construction industries and has a particular expertise in relation to the steel, metal recylcing and energy sectors. In this regard, he is the appointed company secretary to one of the world’s largest suppliers of plant and machinery to the steel making industry. This expertise has necessitated Philip advising on legal issues affecting many clients trading in a variety of jurisdictions within Europe, the Middle East, Asia, Africa and both North and South America, recently advising on a series of acquisitions in the steel industry in England, France and Germany. Philip is a learned member of the Nuclear Institute and has advised a number of clients in relation to transactional and contractual matters in the nuclear sector. Philip also has substantial experience of project finance and, in particular, relating to the hotel industry having advised on a number of hotel and leisure developments. Big data and other technological advances are revolutionising the way in which food and drink companies are going for growth across Yorkshire. 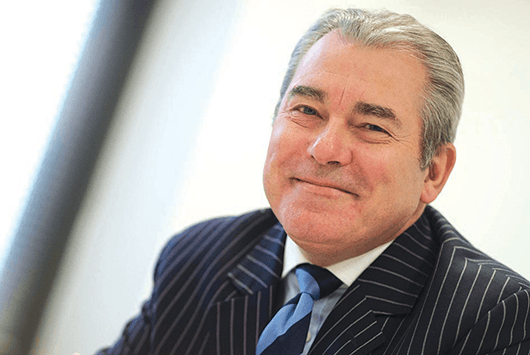 Richard Hughes, the founder of Manchester investment bank Zeus Capital, will be the guest speaker at the Ward Hadaway Yorkshire Fastest 50 Awards 2019. Ward Hadaway hosted a number of business executives from Yorkshire's food and drink industry at the third Industry Leaders' Forum to discuss major issues affecting the sector. "Philip Jordan has particular expertise in the steel and energy sectors." "Philip Jordan has significant strength in the manufacturing, steel and energy sectors."